A recent study released by the Donald W. Reynolds Journalism Institute identified the top trusted news sources. We looked into our data to see what these publishers are doing to rebuild trust in the media on social. Trust in the media remains dismal. A 2016 Gallup poll found that journalists are trusted just above lawyers and state governors. In the UK, journalists were in the bottom five of professions, lower than real estate agents. Recently, 28 newsrooms participated in the Trusting News project, which involved asking audiences about their thoughts on the credibility of news. The 8,700 respondents were asked to name three news brands that they trust, and three that they don’t. Below are the top ten answers. Not all of these are specific news sources. We can see that social media and the internet are regarded less favorably than more traditional media like public television and radio, and that no digital-native news outlets made the most trusted list. Armed with this list, we decided to pair these news sources up against each other and examine the differences in their most engaging content and social distribution methods. 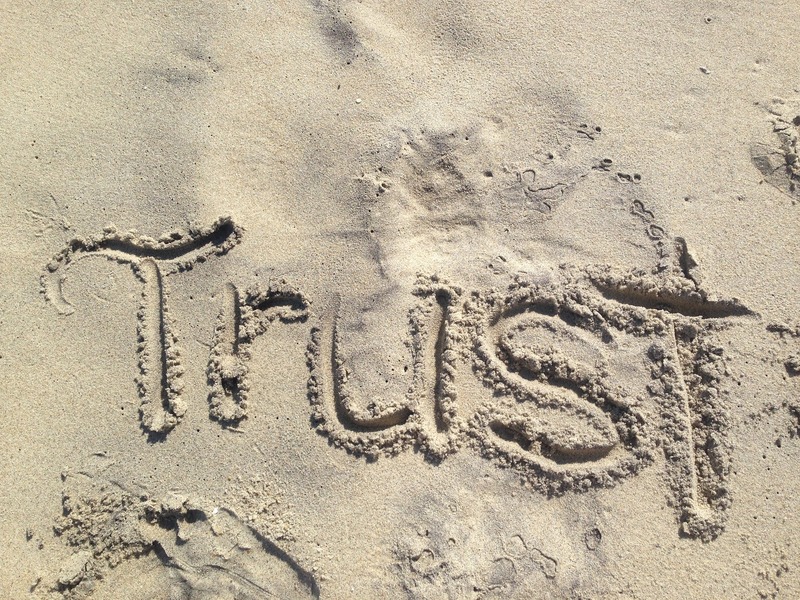 Does trust play a part in social media engagements? Given that we only had nine actual publishers on the trusted list, and seven on the less trusted list, we added the next two publishers/media brands from the study’s least trusted results, Fox News and Rush Limbaugh. We looked at data for July 2017 in NewsWhip Analytics. Only half of these publishers were on the most trusted list. Being considered trusted or not, based on the data, doesn’t necessarily have a role into content’s reach across social. That said, for some of these publishers, their inclusion on the “least trusted” list isn’t necessarily a negative thing. Some of these publishers, like BuzzFeed, cover a wide variety of topics, beyond breaking and hard-hitting news. Still, being considered a trustworthy publication can be beneficial, given the current climate and view of the media. Only 32 percent of Americans trust the news, with that number dropping to 14 percent of Republicans. So how do these trusted publishers differ in their approaches to content and social media distribution? We looked at these 18 publishers and media brands to see if there was a difference in their most engaging topics. For this, we looked at the each of the publishers’ top ten engaging stories for June 14th through July 14th. More than half of the least trusted sites’ top stories were about politics. Other frequent topics were Islam and terrorism, and societal issues pertaining to gender identification and LGBT rights. BuzzFeed had the most variety, with only one of its top ten articles being politically-charged. Meanwhile, for the trusted sites there was more variance. Many of the top engaging stories were about international news. Others were related to findings around health or the environment. Instead of being known for one topic, these publishers establish themselves as a source for a variety of stories they believe their readers should be informed about. Many of the top stories from the trusted publishers were also political, however they were less focused on the politicians and more focused on the legislature. Others were opinion pieces. A great deal comes down to how the content is packaged for the web and social media. A basic tenet of journalism is to provide unbiased information, and the most trusted publishers tend to remember this. In our analysis of their headlines, we see that while having a voice is okay, commentary is generally not. If there are subjective statements in the headline, they tend to be quoting someone else within the headline or it’s clearly an opinion piece. Out of the nine most trusted publishers, only the Los Angeles Times made opinionated statements in its top engaging headlines. At our Whipsmart conference, MTV News’s Renan Borelli told us that MTV’s audiences don’t like the news delivered with any commentary. Another takeaway is that the most trusted publishers don’t seek to incite negative reactions in their readers. The stories may be emotional, but the top trusted publishers let those stories speak for themselves through the facts. We looked at these publishers’ Facebook Pages for the same 30-day period to determine which ones drove the highest amount of emotional reactions. The Economist, Wall Street Journal, and Dallas Morning News had the lowest average of angry reactions. Looking at the top articles from the least trusted publishers, emotionally charged words are common, along with a gratuitous use of caps lock. Facebook, Twitter, LinkedIn… it’s considered best practices to vary your message for the different audience that exists on each social channel. That said, the most trusted publishers stay away from clickbait and ambiguity in their social posts. On Facebook, they include all the information you need to know before clicking through to an article or to watch a video. Rather than resort to buzzy words, exclamations or clickbait, the Wall Street Journal creates an interesting hook to the story above, while still providing information on what the story is about. As concerns around filter bubbles remain prevalent from both the newsroom and audiences, it’s worth identifying ways to bolster trust between the two. According to Pew Research, American readers are paying attention to national news more and more. A strong majority, 72 percent, of American readers believe that news sources favor a particular political party. With such strong opinions, employing best practices can help restore faith that news sources don’t have a personal agenda. I don’t understand why your graphs are so small. What’s the point of having a graph if it can’t be read? And, yes, I did try enlarging; stays the same size.